Last Sunday, i have a date with one of my favourite Hong Kong famous singer Joey Yung in Meet & Greet session at Pavilion KL. I'm so excited! She comes to Malaysia for a press conference of NH's latest product, NH Colla Plus 3. A short introduction about Joey Yung if you don't know her. Known as the Queen of Pop in Hong Kong's music industry, Joey Yung had won 12 consecutive times of Most Popular Female Artist, held more that 150 world tour concerts spanning the globe, also was the opening and closing guest performer for Beijing Olympic Game in 2008. Recently, she has been selected as the ambassador of NH Colla Plus 3. NH Colla Plus 3 beauty drink is a step ahead of regular collagen drinks in the market as it leverages on the power of yeast creamed and olive extract to give you amazing skin changes effectively in minimal time. This drink is suitable for both men and women with all skin types. I am their loyal customer since they launched the first product in Malaysia, personally think the taste is better among all collagen in the market, and i can see visible result after finish a box. 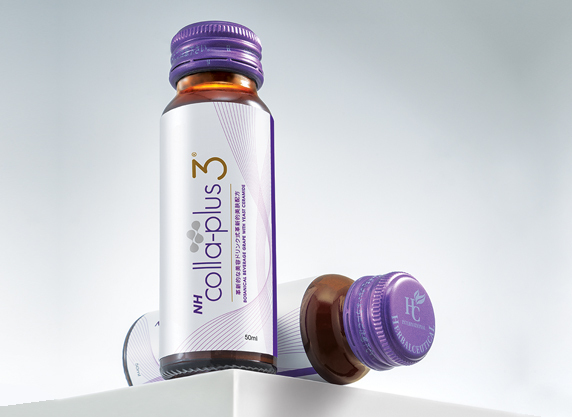 NH Colla Plus 3 is sold exclusively at all Watsons outlet nationwide.